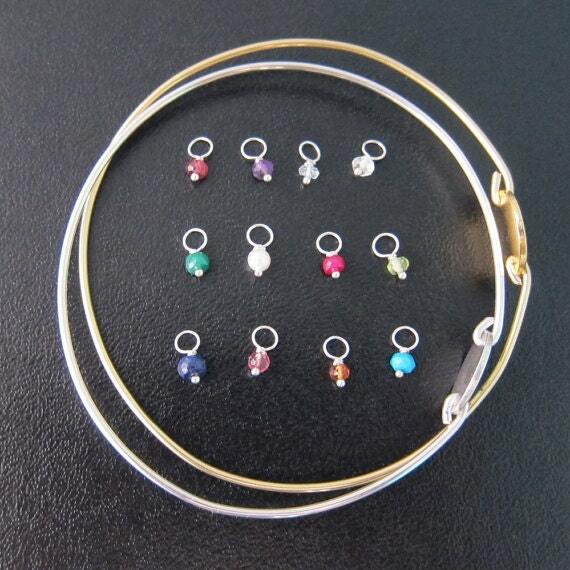 If you have purchases multiple bangles, please mention which bangle you would like your charms attached to. 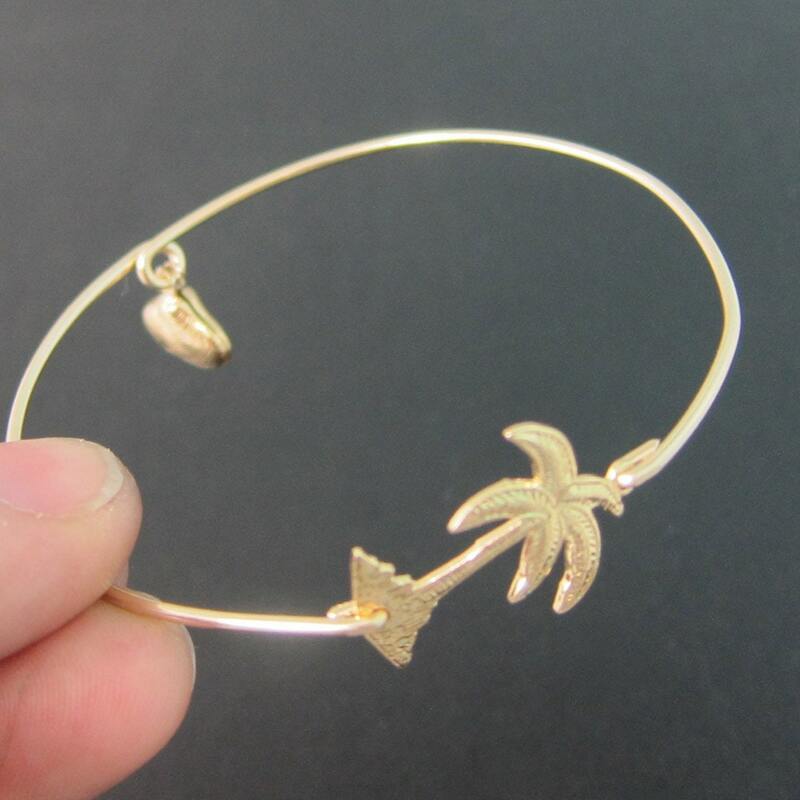 And please mention if you would like the charm attached to the bangle band-- or other location such as dangling from a leaf, or dangling from inside an infinity loop, etc. 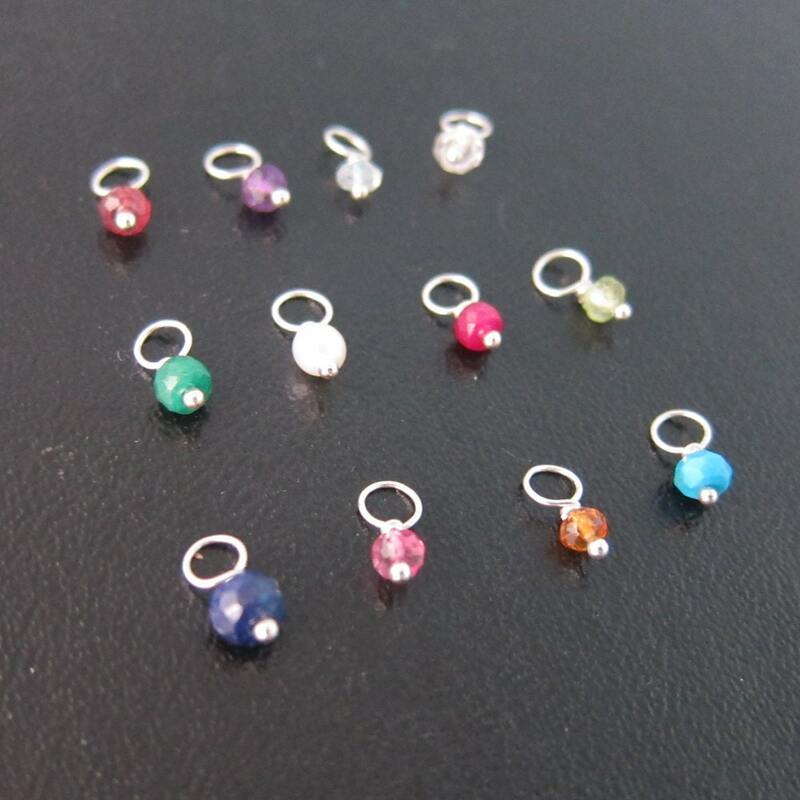 These little gemstone charms can jingle around freely on the band of your bangle-- or I can add a loop to the band at the side or back of the bangle to make it stationary. 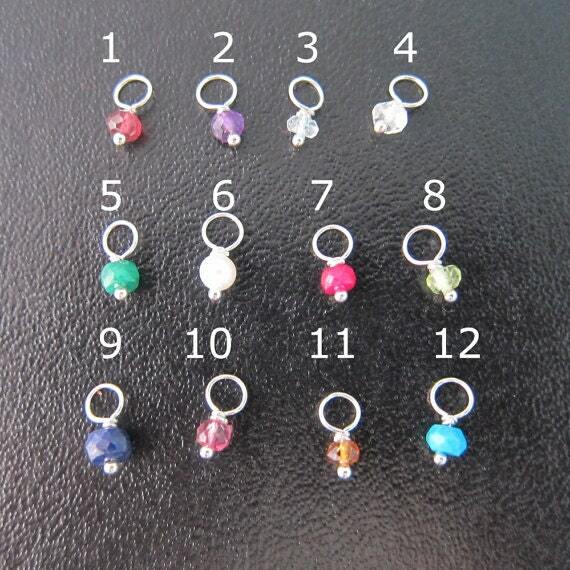 If purchasing more than one, simply add to cart one at a time so you can choose the proper birth month for each. 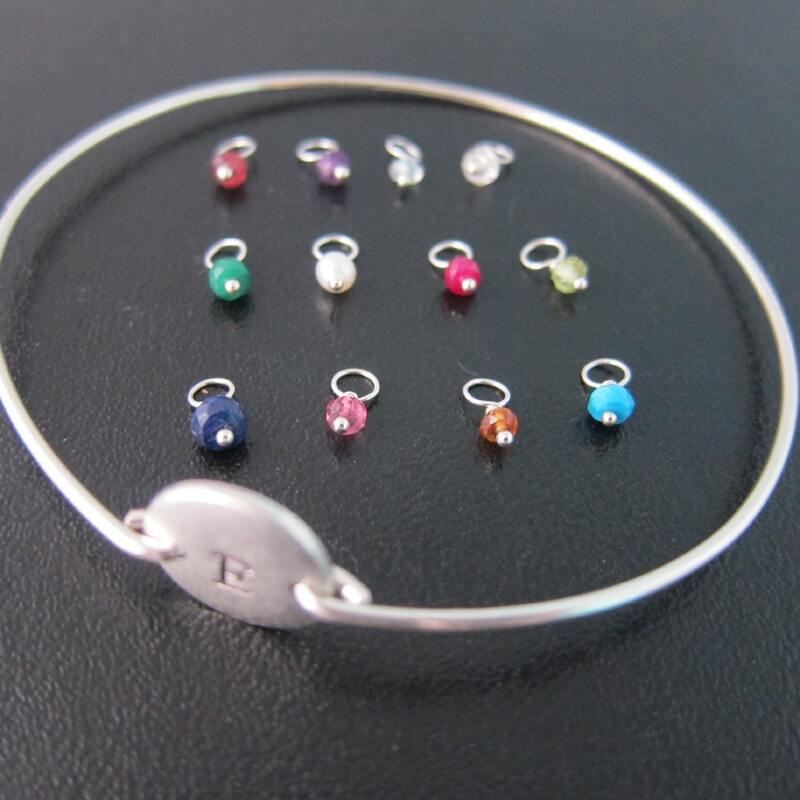 Or you can add all to cart at once and make a note during checkout as to which birthstones you would like and which bangle to add them to (if you are ordering multiple bangles). And let me know if you would like the gemstone as a "stationary charm" or "free moving" so it can slide around the band. Created and hand crafted with great care and love for you and yours. All of my items are special handmade creations that are based on original Frosted Willow designs.